Made from plastic shopping bags and diverted landfill-bound material, Ekomats are dynamic, multipurpose tools that offer flexibility, slip-resistance, durability and versatility in a wide range of applications. By preventing damage and increasing accessibility, they will save you time and money, and provide a safer working environment. 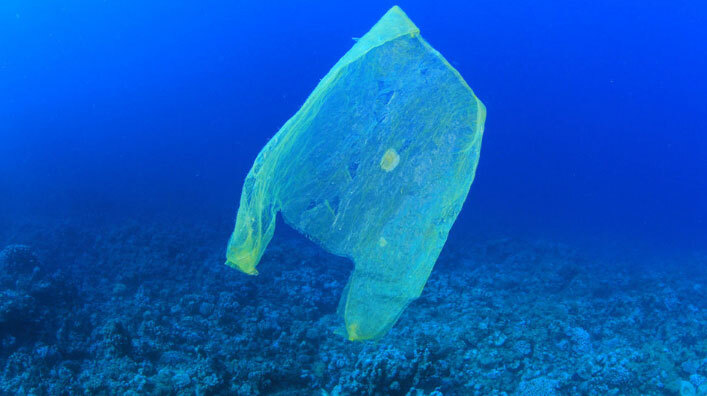 FACT: Plastic bags are used for an average of 12 minutes, and will last up to several hundred years in a landfill. Ekomats have a multiyear lifespan, and can be recycled and reprocessed multiple times without losing the compositional integrity of its material. Ekomats: An earth-friendly alternative, saving you time and money. Ekomats are engineered from a revolutionary technology and low-emissions manufacturing process that converts single-use and “dirty” plastics into Ekopolimer—a recycled and superior material. Most plastics are made of mainly nonrenewable resources, petroleum or natural gas. In recent decades, billions of tons of plastics made from virgin materials have been mass-produced for one-time uses and then thrown away, with an estimated 91% of those plastics never being repurposed or recycled, again. There are few reuse or recycling options for low-density polyethylene (LDPE), especially LDPE that has not been properly cleaned, or has traces of inert waste, glue, chemicals, organic matter, metal or glass fragments, foam, or other plastics. Ekopolimer technology creates value for “dirty” LDPE and other post-consumer content that would otherwise end up in our landfills and oceans.
" A great access mat has the right balance of ease of use and stability. Ekomat deployment is simple. The mats have the weight to stay in place and offer traction when needed, a combination that makes Ekomats competitive in the ground access space." The New Boston transfer station in Southern New Hampshire receives approximately 250 tons of demolition materials per year. The approach to their receiving dock is constructed of asphalt. Three days a week, three times a day they use heavy equipment to process the materials they receive. Continual impact from the backhoe stabilizers have created unwanted depressions in the pavement around the receiving area. Ekomats provided an easy solution, and reduced the impact of erosion and degradation at this highly utilized site. Many, possible solutions that make your work easier, safer and cost-effective. Ekomats are at the intersection of industry, innovation and environmental impact, providing a number of solutions for common commercial and residential challenges, as well an important solution to one of our biggest challenges—what we do with single-use plastics, made of non-renewable resources. How will Ekomats meet your industry needs and make an impact on the work you do? There is no shortage of LDPE being produced and circulated today. When you use Ekomats, you are supporting alternative sourcing practices. There are few “green” recycling and reuse options for Ag film. Ekomats aims to change that. Don’t let soft ground slow you down. Ekomats can mitigate circumstances that may delay you, or stop you in your tracks. FACT: BILLIONS OF TREES AROUND THE WORLD ARE BEING CLEAR-CUT EACH YEAR to make LUMBER FOR CONSTRUCTION PURPOSES. Made from post-consumer content diverted from landfills and oceans, Ekomats are an earth-friendly alternative to using plywood for ground access applications. Where the average lifespan of a piece of plywood is a few uses before disposal, Ekomats have a multiyear lifespan, hold up against rigorous use, and can be recycled and reprocessed multiple times without losing the compositional integrity of its material. Not only will Ekomats outlast plywood, they will save you money over the long term. FACT: We have a problem with plastics. 90% of the trash floating in our oceans is made of plastics—that is 46,000 pieces per square mile. Ekomats are changing the narrative of single-use plastics, by dramatically extending the life of LDPE (six-pack rings, food wrap, dry cleaner bags, agricultural film and shopping bags). What was previously unrecyclable content, is now transformed into high-performing and functional tools.